One of my favourite little “London secrets” is Camden Passage in Angel. Sure, many Londoners are probably aware of it by now, but due to its easily missable location, I imagine there must be quite a few who’ve walked past it without even knowing about it. So I had to shine the light – otherwise I’d feel way too guilty for keeping it to myself! Camden Passage is a short street, or passage, just a few minutes walk away from Angel station. It hides behind Upper Street, and hosts a variety of independent shops, lots of cafes and restaurants as well as one very famous pub. But more on those a little bit later..! Camden Passage has a lovely little market, with main days being Wednesdays and Saturdays. These little market stalls focus heavily on antiques, but there’s also a quite a big selection of vintage clothing and other second hand items. 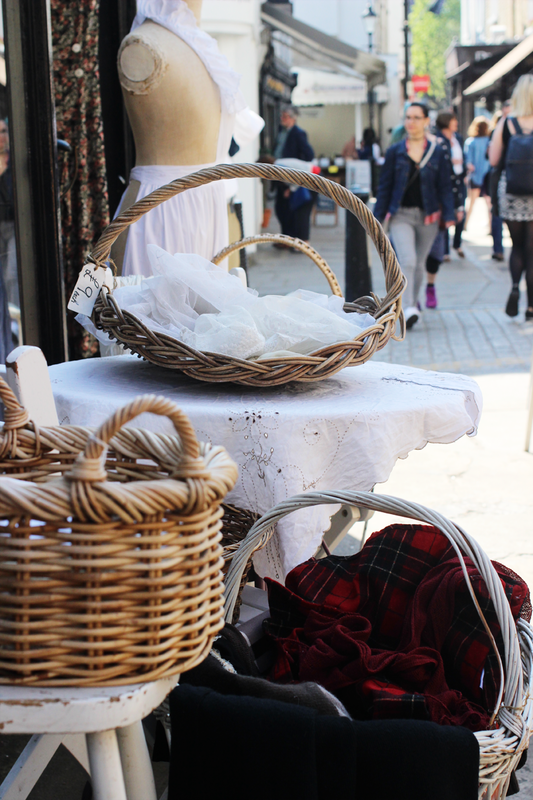 If you can’t find anything you fancy from the market stalls, there’s also lots of vintage shops on the street where you can continue your search. It’s not all just old stuff though. The market is divided into four areas, and each of them has their own specialty. So if you can’t find what you’re looking for straight away, keep looking – it might still be out there! 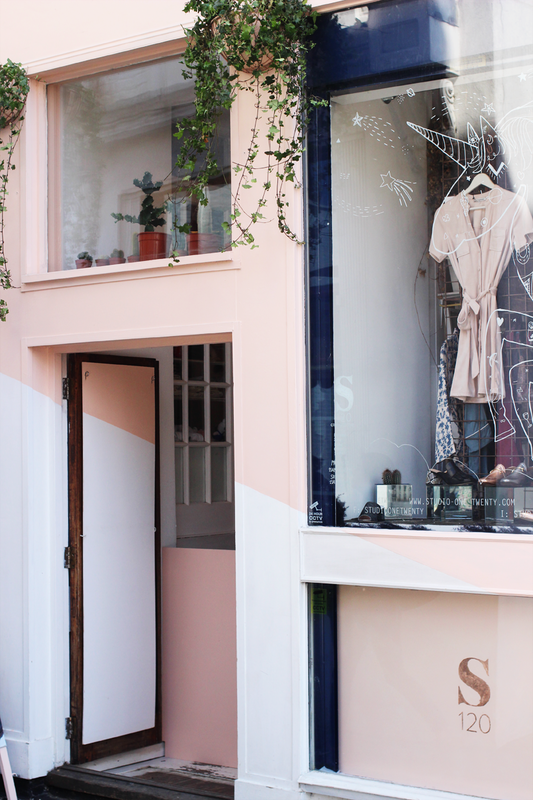 As I mentioned earlier, Camden Passage is especially known for its vintage clothes and antiques shops. If that’s what you’re after, you might want to try Annie’s Vintage at number 12. They have such a cool collection, and you can expect to find anything from lacy petticoats to parasols and sequin tops. The sky is the limit, basically! Other great places to visit are David Griffith’s for antique furniture, Fat Faced Cat for even more women and men’s vintage and Kevin Page Oriental Art for Chinese porcelain and Japanese ceramics all the way for the 1700s. Not something you see every day! Camden Passage is an amazing place to have a little coffee break. It’s a short little street, but it packs an impressive amount of coffee shops – I guess they know that people like their caffeine and something sweet when they’re doing all that shopping and wandering around the markets! 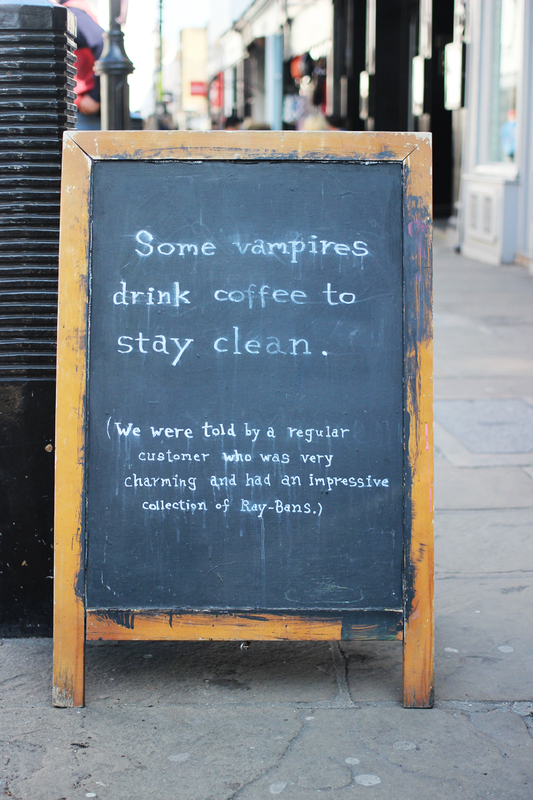 The Coffee Works Project is a lovely little independent cafe with three branches in London. They pride themselves by offering locally produced food and the (in their opinion) best coffees and teas available. I can vouch for the teas – I had the rooibos and while it didn’t blow my mind (can it ever?! ), it was very good and I would definitely have it again. I can’t have coffee myself, but I did see it being made and a lot of care was put to the process so I’m sure it’s pretty great too. 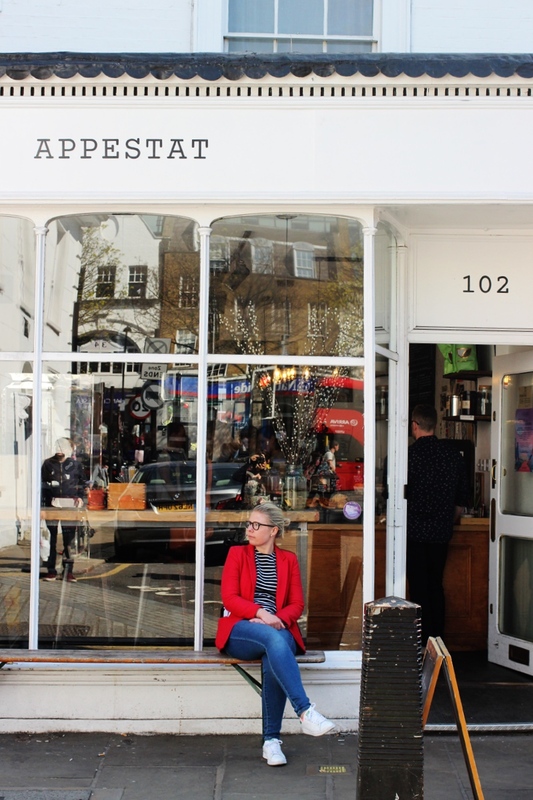 Appestat is a lovely little coffee house, but it’s also a pop up gallery (of course it is) and they host a variety of events too. At the moment they are advertising a supper club residency in July, where you can book tickets here. The next one is a Syrian kitchen including dishes like halloumi filled pastry and lentil soup – sounds pretty yummy! 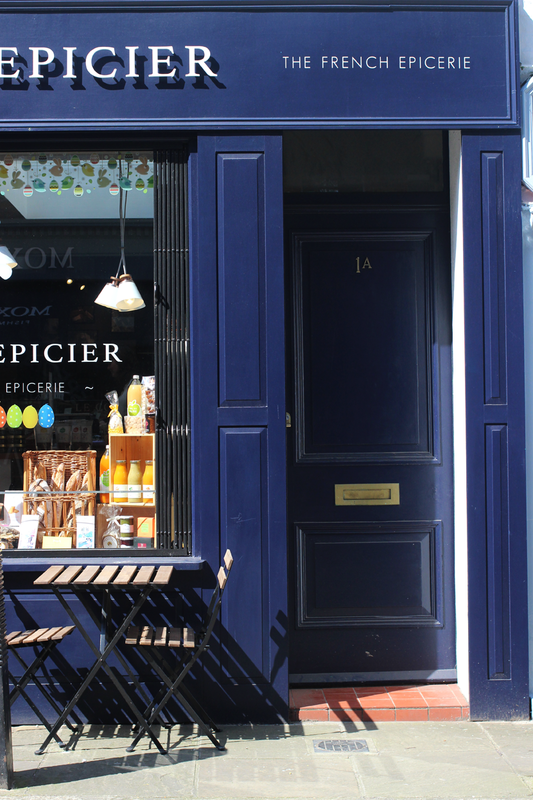 Other places worth trying out is the Austrian coffee house Kipferl which will definitely satisfy your sweet tooth with its sweet pastries, and Le Coq Epicier which is techincally a shop selling French produce (Wine! Macarons! Wine!) 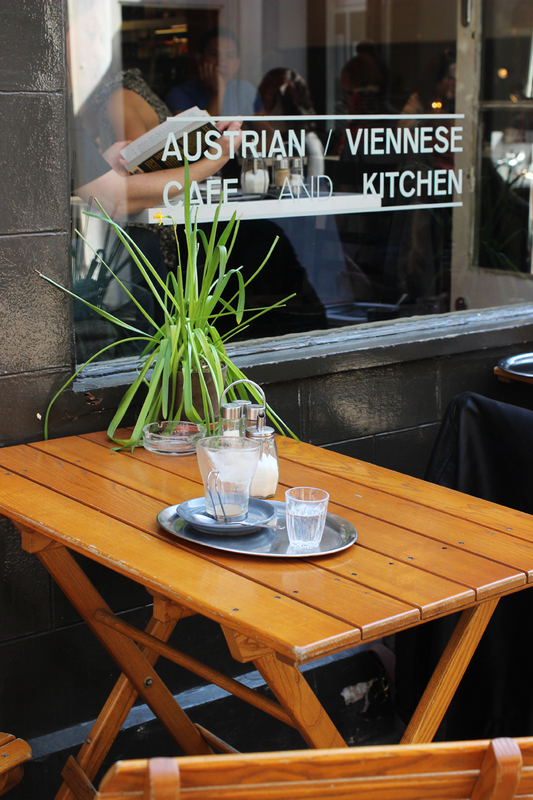 but they also have a few tables outside where you can immediately enjoy your purchases in the sunshine. Finally I managed to get to this bit! The Camden Head is well known pub due its amazing free comedy club which they have on every day of the week. Both Fridays and Saturdays is a ‘pro night’ when you can see established comedians without having to pay a penny. It’s good to arrive early to avoid disappointments though – Time Out has named their comedy nights as one of their “Must Do” things in London, so it can definitely get very busy. I feel like I could go on talking forever about this lovely street, but I think I have rambled on enough. There are still so many lovely shops and restaurants I didn’t get to mention at all, but that’s exactly why you have to go there and experience everything yourself. Exploring this little part of London is definitely one of my favourite things to do.